As some of you already know, Sawgrass has released a new line of sublimation printers, the Virtuoso line. There is a smaller printer, which can do up to 8.5 x 14 out of the box, and a larger printer, which prints 11 x 17 out of the box or larger sizes with the additional of a bypass tray. 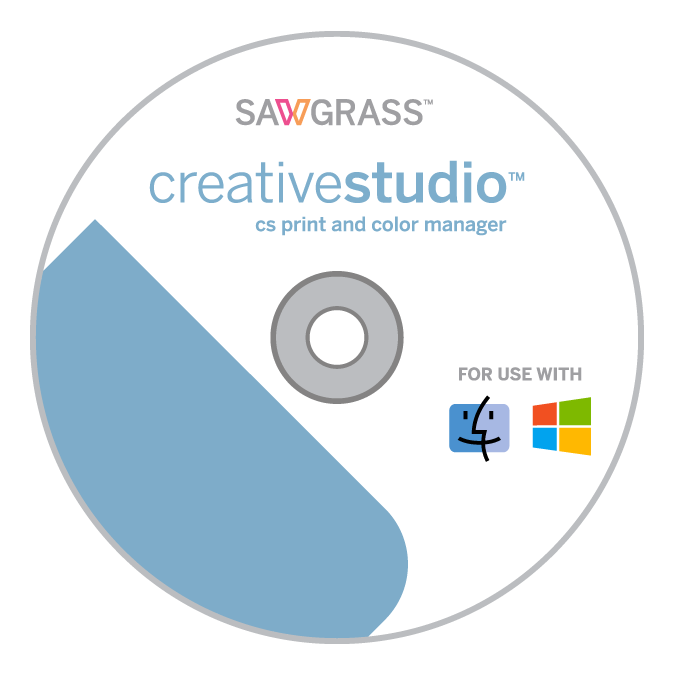 Along with the printers, they have also released sublimation design software, available online, called CreativeStudio. If you have purchased a printer, or are considering purchasing a printer, you may have questions about this software. Here are some quick instructions for getting started with the software. 2. You will receive an account activation e-mail. Once you have that, log in to CreativeStudio. Once you have logged in, it is recommended that you complete the training exercises in the Tutorials. Once you’ve followed these two steps, you are ready to start creating. Please keep in mind, once you register for the CS Print and Color Manager, you will receive two e-mails. One is a Registration Code E-mail, and the other is an Account Activation E-mail. The Account Activation e-mail should arrive within two business days. You will not have access to CreativeStudio until you receive the second e-mail. You may also wish to register for a CreativeStudio orientation webinar or a CreativeStudio Q&A session. Q & A sessions are happening at 7:00 a.m. and 7:00 p.m. EST on Monday, June 24, Monday July 8, Monday, July 22, Monday August 5, and Monday, August 19. When registering for a Q&A session, click on “Show my Time Zone” to choose the correct webinar for your location.